Recognizing that your child may be using alcohol or drugs can be scary. Teenagers often use substances to temporarily decrease the stress or anxiety associated with an underlying mental health issue. We understand your concerns. And our team at Rogers Behavioral Health can help. 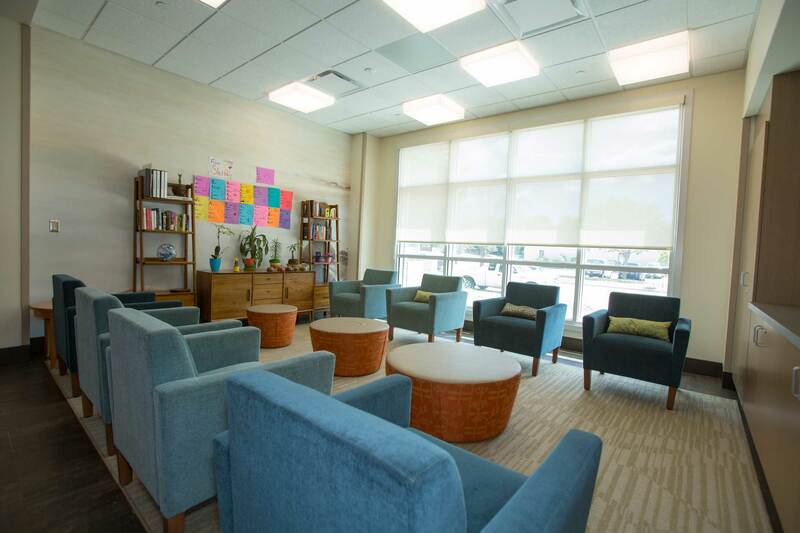 Through our Mental Health and Addiction Recovery residential care, we treat your teen’s mental health and his or her use of alcohol, drugs or opioids. Studies show it’s most effective to treat both at the same time. 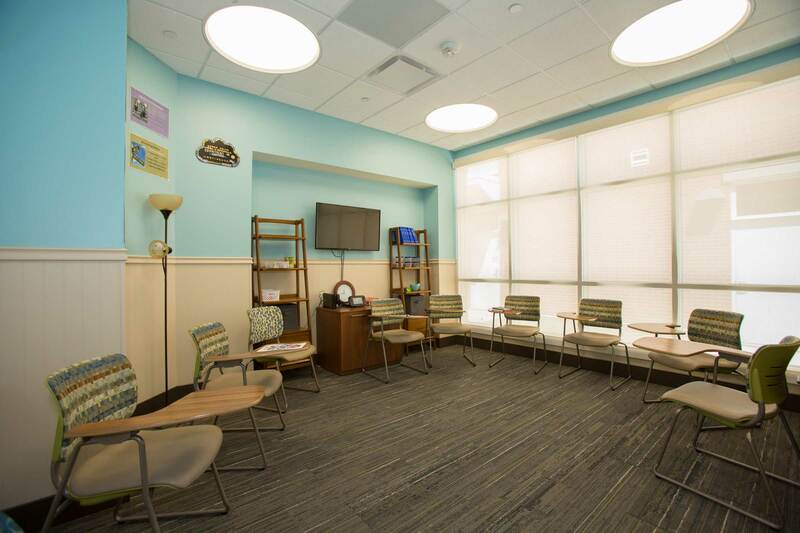 In a home-like setting at our West Allis location, a typical stay of 30 to 60 days gives your child and our team the time to address his or her individual needs. 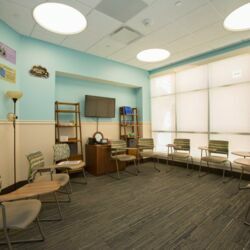 Led by a board-certified child and adolescent psychiatrist and addiction medicine specialist, a team of professionals brings its expertise in both mental health and addiction to our therapeutic approach to recovery. “Because of this care, I have decided to make a change. I no longer feel the need to use drugs/substances to cover up my problems. This is one of the best things I have done with my life. 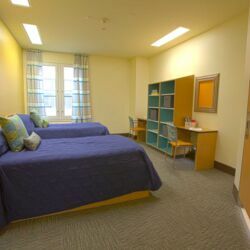 A dedicated, multidisciplinary team works with your teen using an evidence-based therapeutic approach which gives your child the skills and guidance to move forward, integrating therapies which support recovery from both mental health and addiction disorders. At the core of all programs at Rogers is cognitive behavioral therapy to help identify challenges and develop coping skills. In addition, your child will engage in behavioral activation, practice mindfulness and build other dialectical behavior therapy (DBT) skills. For addiction, this includes DBT skills that can help alleviate physical discomfort, diminish urges and increase healthy behaviors. Motivational interviewing and substance use disorder counseling also help effect change. Your adolescent son or daughter will have regular contact with a psychiatrist and psychologist, in addition to ongoing work with dedicated therapists and counselors. 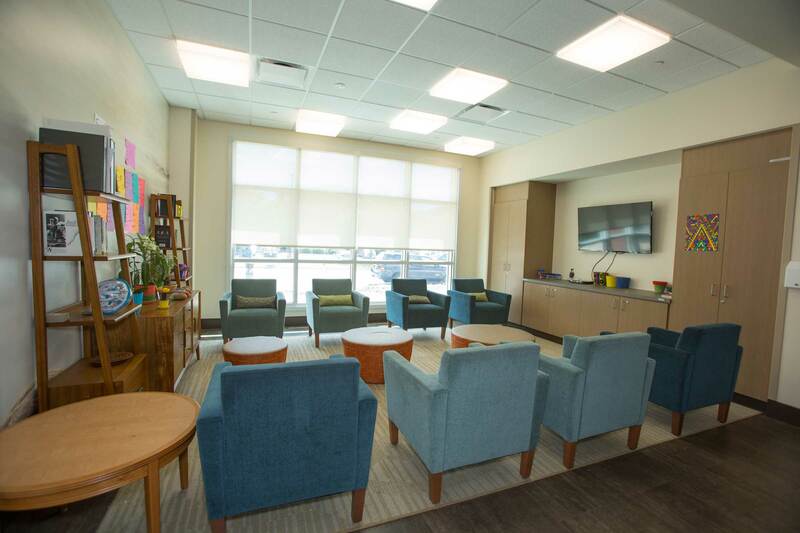 With an integrated approach to care for co-occurring mental health and addiction, residents will find a variety of groups and activities within the day, all meant to support healthy change. Here’s what a typical weekday looks like. Your child’s schedule at Rogers includes designated time throughout the week for school work, allowing him or her to keep up with academic assignments as much as possible during treatment stay. Your child will also have time for personal activity, family visits and phone calls. Your participation in your child’s treatment will greatly help your child be successful not only at Rogers, but in his or her life outside our care as well. Family sessions are generally held once a week, and help everyone focus on your family’s communication patterns, value and belief systems, roles and expectations as they relate to your child’s treatment. Concerned your teen is struggling and could benefit from residential care? 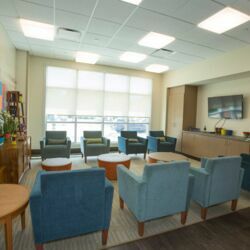 A newly renovated home for our residential Mental Health and Addiction Recovery for adolescents on the first floor of our hospital location in West Allis, Wisconsin, awaits your son or daughter — not far from Lake Michigan and downtown Milwaukee. 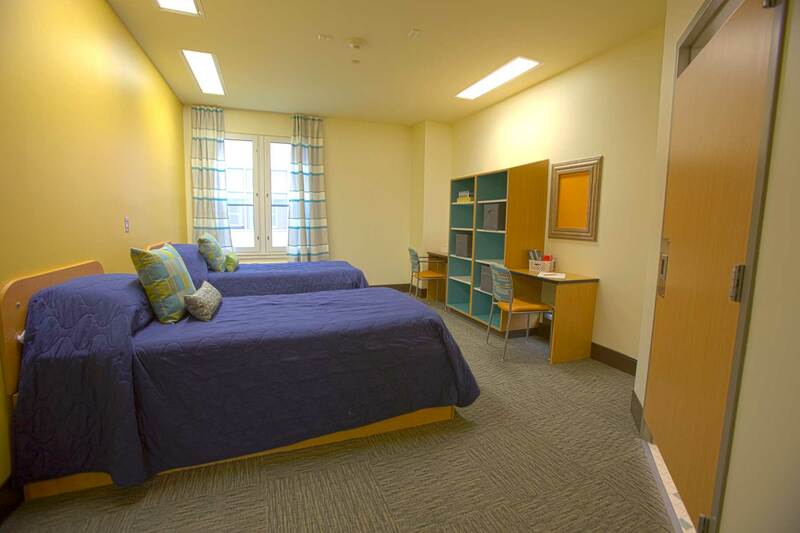 A warm, contemporary décor provides the backdrop for the community living space, semi-private bedrooms and therapy rooms within the 12-bed unit. 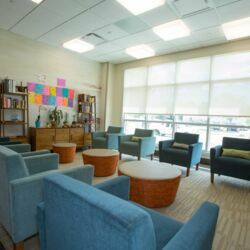 Easy access to the main gymnasium and supervised outdoor activities in the greater Milwaukee area complement the indoor therapeutic setting.